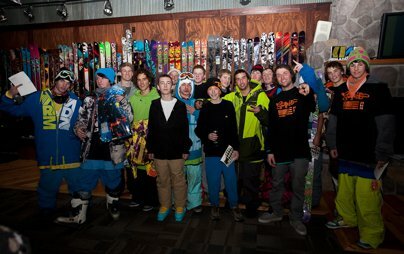 The Hornbeck Hillbilly Hoopla was a great success, kids from as far as Michigan and one exchange student from Sweden showed up for the three-day mini camp held at Summit Boardshop&rsquo;s private park at their store in Minnesota. 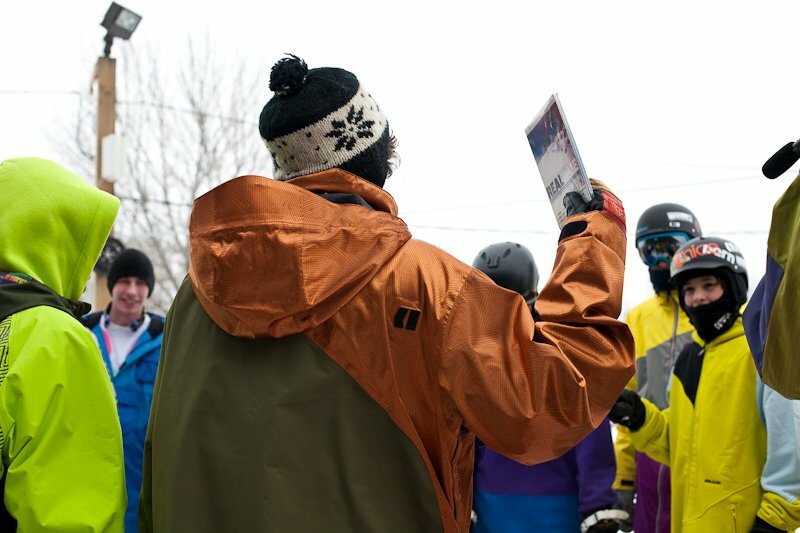 The skill level of the 20 kids was anywhere from skiers who had never hit a box to locally sponsored riders. Everyone learned something new at the camp, as Hornbeck and Ahmet Dadali are incredibly good at coaching and can break down just about any trick you want them to. All the kids progressed a great deal and everyone walked away with fantastic prizes from Armada, Level 1 and Spy Opitcs among others. Day one. All the campers arrive in the morning and meet Mike and Ahmet. Ahmet and some campers stretch before heading outside. 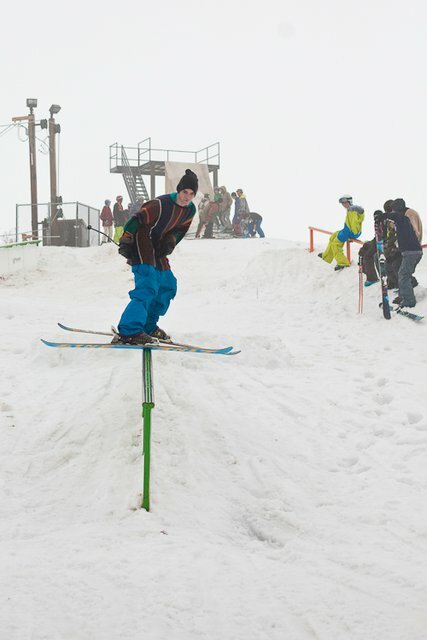 Despite the rain, Ahmet is stoked on the towrope that Summit has in their backyard. 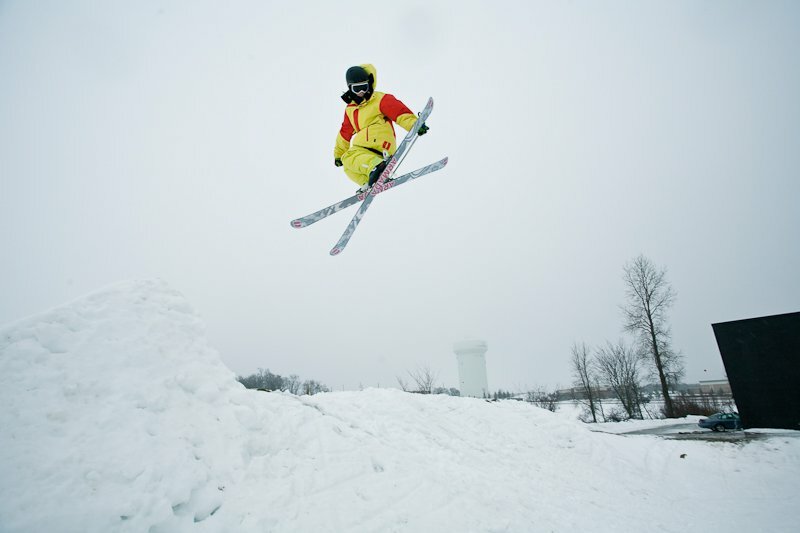 Because of the rain and warm temperatures the snow was extra soft, giving campers the perfect time to learn new tricks on the hip jump. Lunch time for the campers. 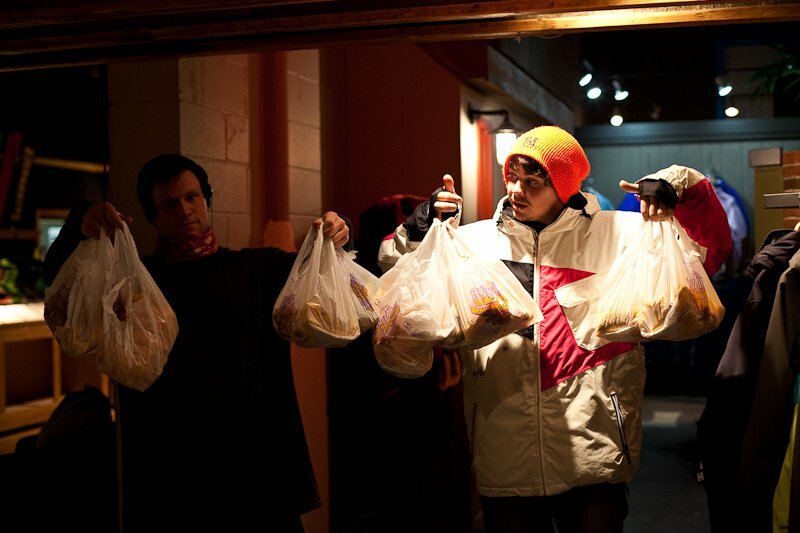 Ever seen a hundred dollars worth of Taco Bell? That&rsquo;s what it looks like. After lunch Ahmet helps fill in some bomb holes. 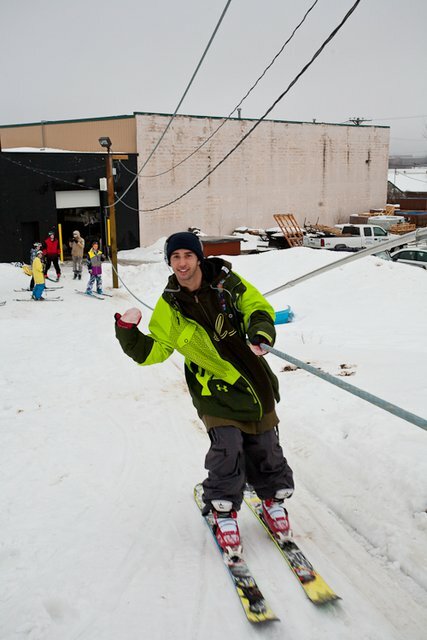 One of the Michigan riders showing how it&rsquo;s done on the down street rail. Day two the weather turned for the worse. 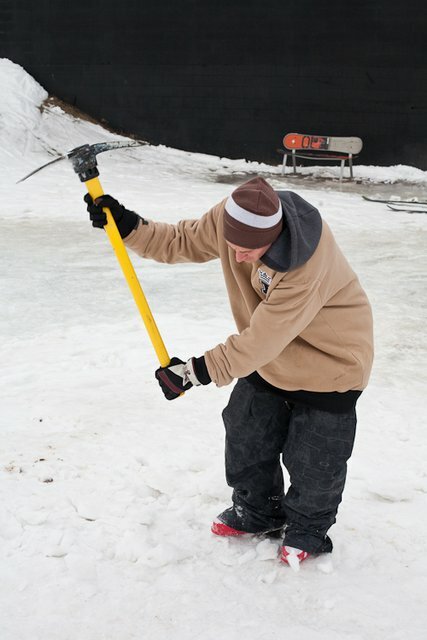 Temperatures over night dropped into the single digits, which turned the backyard into an ice rink. 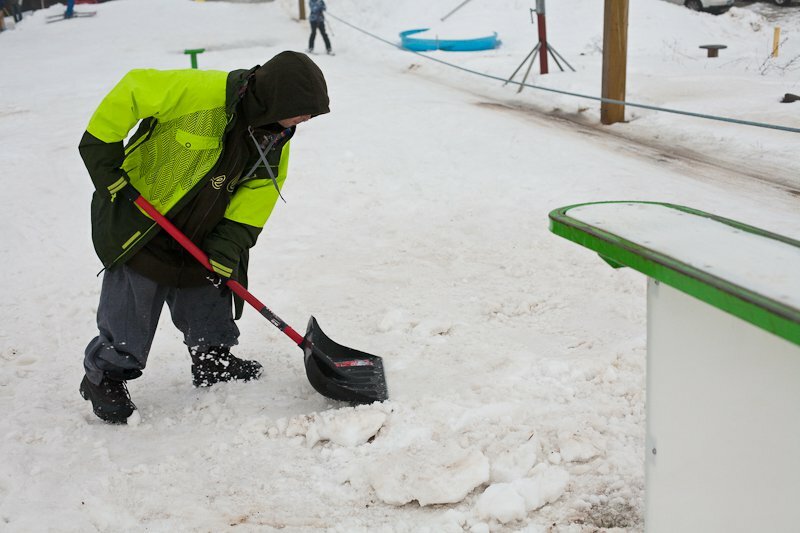 The first half of the day was spent chopping up the landings and filling in areas with fresh snow. After lunch Mike had a little Level 1 trivia game for some DVD&rsquo;s. Who bashed their teeth out in Real Time? 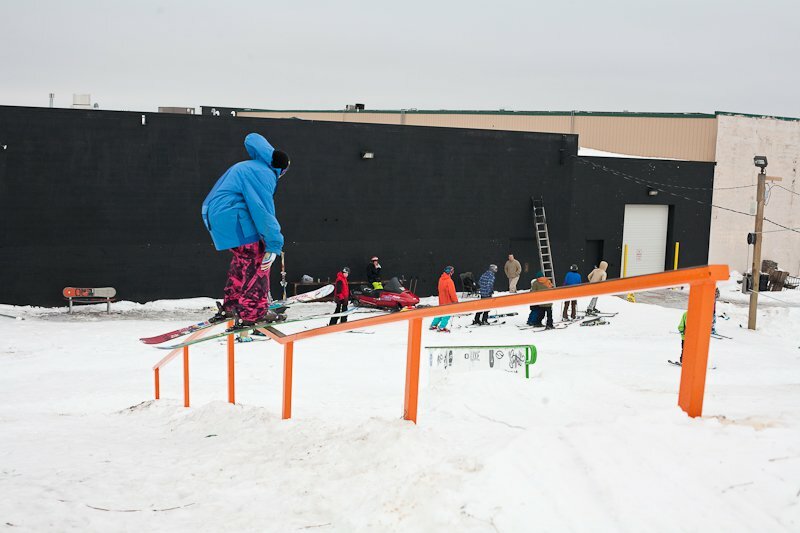 Mike decided to have a best trick comp on the new down-flat-down rail. Throughout the days Mike would have different mini comps on different features in the park. Everyone at camp walked away with some sweet swag. I&rsquo;m not joking here, everyone got sweet stuff. 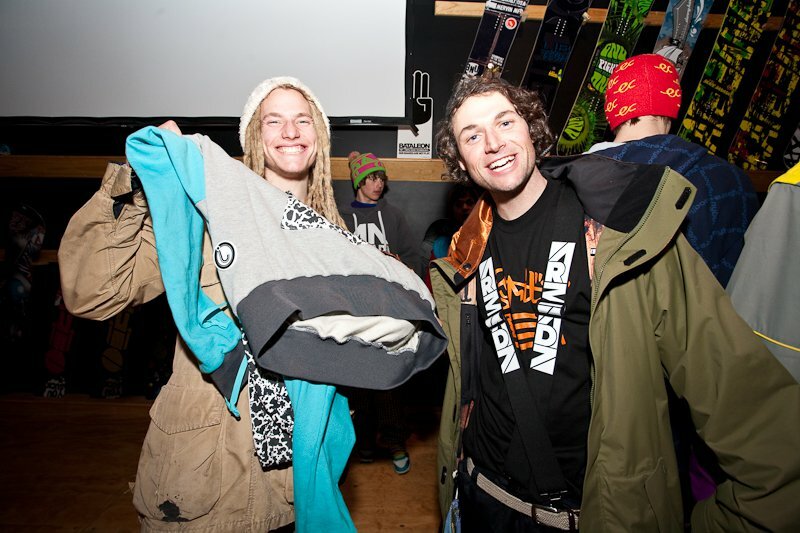 In the end, weather and all, everyone walked away with a bag filled with some new tricks and new friends. 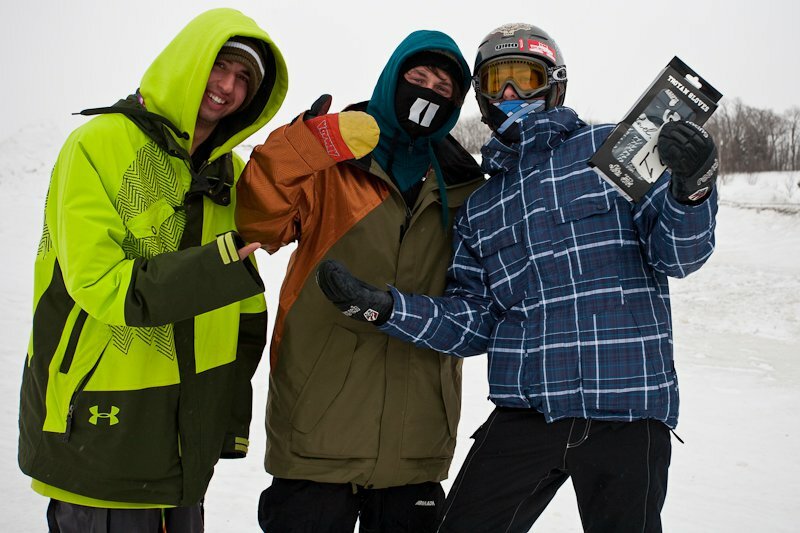 After a weekend of watching the superstars at the Dew Tour in Breckenridge, we sit down with “normal guy” Mike Hornbeck, to talk about being a different sort of pro.